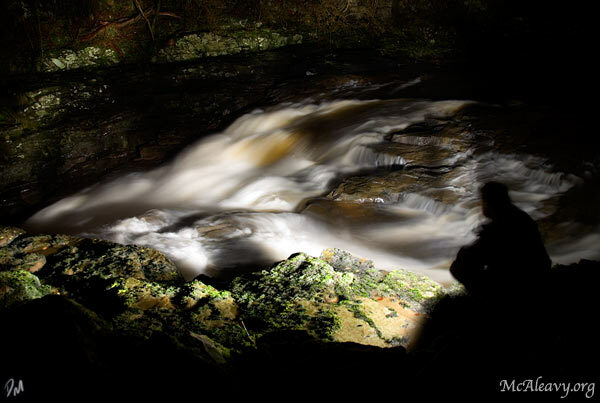 On Saturday night I took my Canon 5D out to the Falls of Clyde with McInnes to do some more night shooting. We had made the same trip (in the dark) the the previous weekend, but as I had only my 5×4 with me the best I managed to do was fall down a hole while attempting to lightpaint a ruin. This time out I shot the falls instead, but managed not to fall in.